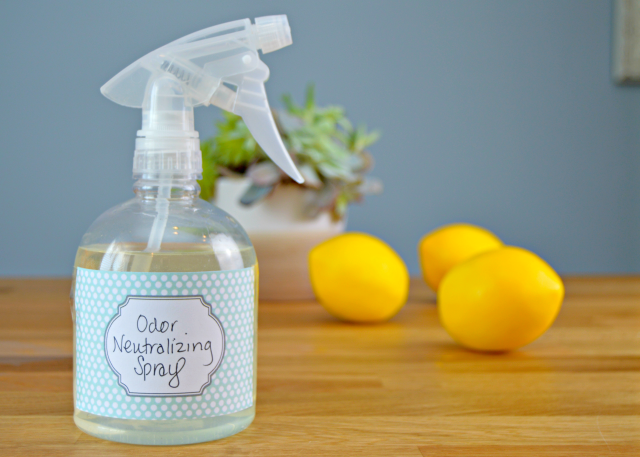 This homemade odor neutralizer spray is a total lifesaver! I just discovered it a few weeks ago and have been using it like crazy. 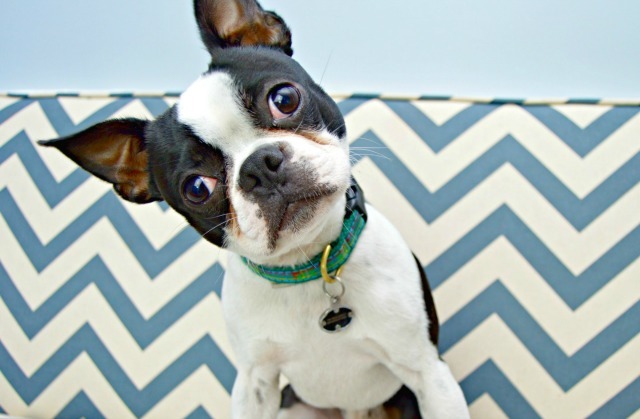 You only need a few ingredients that you may already have at home to make your own and get rid of pet, baby and musty home odors without using a chemical filled room spray. This spray is great for pet odors, dirty diaper odors, musty smells and any odor you need to neutralize. This spray absorbs odors naturally! 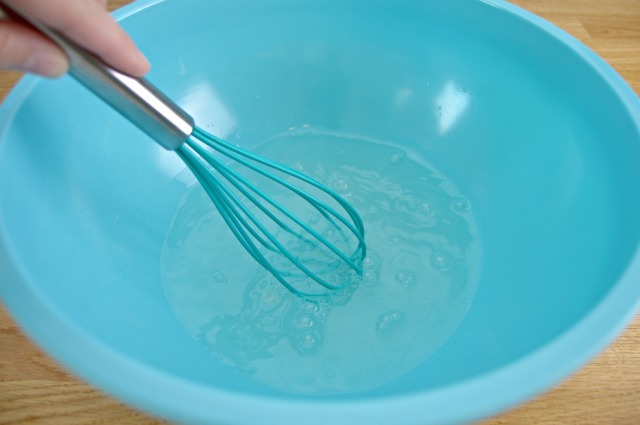 Mix water, baking soda and lemon juice in a large bowl and stir or whisk together. The ingredients may fizz a little, so wait a few minutes until they stop fizzing. Both lemon and baking soda are traditional odor eaters, and the bonus is…most people have them on hand and they are super inexpensive! 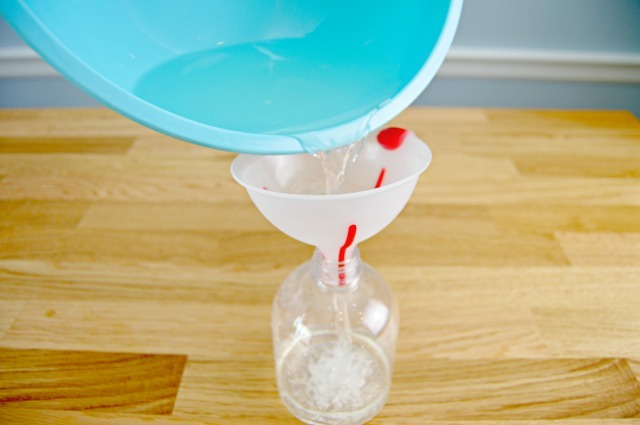 Pour the mixture into a clean spray bottle and shake well. 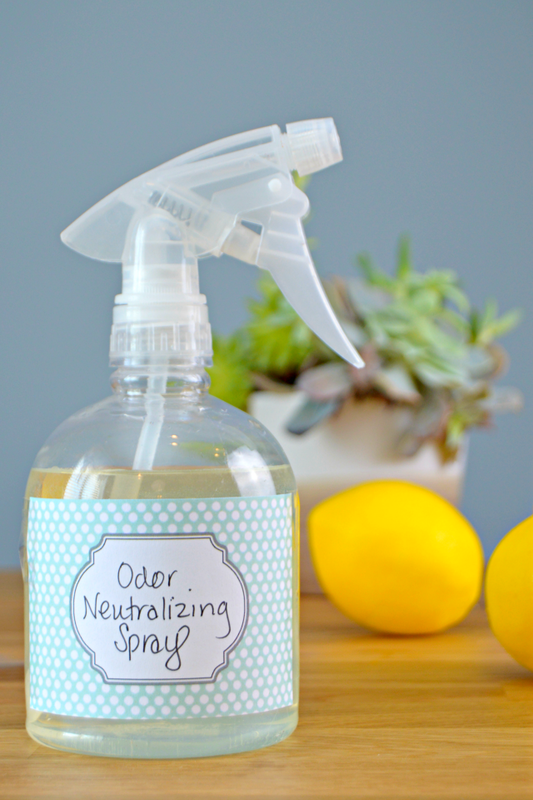 Spray your area that needs refreshing 2 – 3 times per day to get rid of odors! 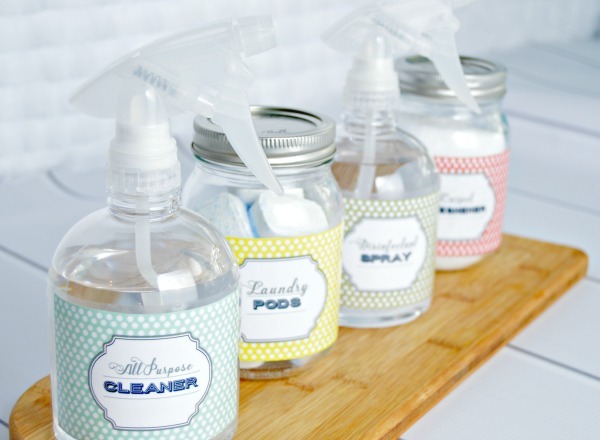 If you would like to print out the cute Cleaning Labels I use for all of my homemade cleaning solutions, click HERE! You can find all of my Cleaning Hacks and Home Tips HERE! Have you tried this in shoes? Jess, my question is a little more involved. I foster cats, primarily special needs kitties. The most recent of which is a beautiful little calico named Sissy. She was labeled unadoptable because of her renal disease causing incontinence. As in the past, I have resorted to using cat diapers. Which work well, but in Sissy’s case, the blood in her stool, causes extremely bad odors that literally cling to her. She gets bathed every other day, and is washed with diaper wipes at every changing, is this spray safe to apply directly to Sissy’s fur/skin? The shelf life is when it stops fizzing…. baking soda and lemon neutralize each other to make water and carbon dioxide…..so basically it is useless once it has stopped fizzing. Jess does it have to be distilled water? Nice, but does it really work for cats !? Is it possible to use vinegar instead of lemon? 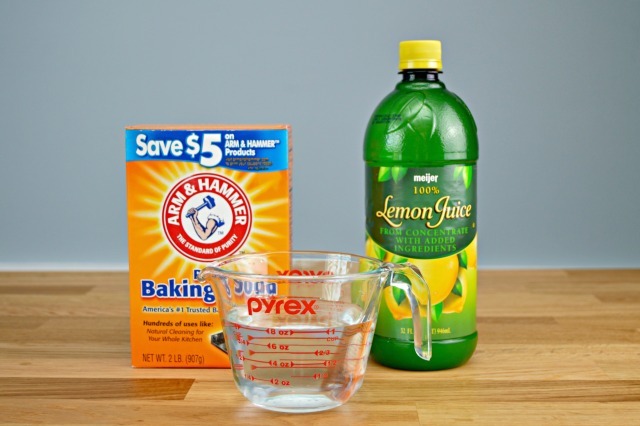 Vinegar is a great cleaner, but lemon is a good odor neutralizer. Not sure it would be a good swap. I have tried baking soda before (but not with lemon juice) and it left horrible white stains on anything I sprayed. Does the lemon juice neutralize the staining? Lemon juice is a great odor neutralizer.I’ve done the same with baking soda, and it has to be vacuumed up. You could try adding some baking soda containers in your drawers with some drops of lemon essential oils. Or, you could place cedar chips in the back of them. Both help with musty smells. Does this work for pet odor on carpets ? I made this spray and it worked well but after a few days it got a very bad smell….any idea why? The lemon juice smells fine and the water was distilled, I’m puzzled. Could I used deionised instead of distilled water, or is distilled best?